Customer success is often an underutilized opportunity for both customer retention and sales acquisitions. With so many competing products and services vying for customers attention, customer success offers companies a way to stand out and connect with their prospects. Customer success is the way you ensure your customers are getting the most out of your products and services. This can the function of a specific team or a part of another role; either way, customer success works closely with sales, marketing, and customer support. In fact, customer success goes hand-in-hand with customer support. While customer support helps solve problems, fields calls and emails, and answers questions, customer success works with customers over the long haul, focusing on assisting customers in getting the most out of their purchase and collecting their feedback. Customer support is typically reactive while customer success is proactive. 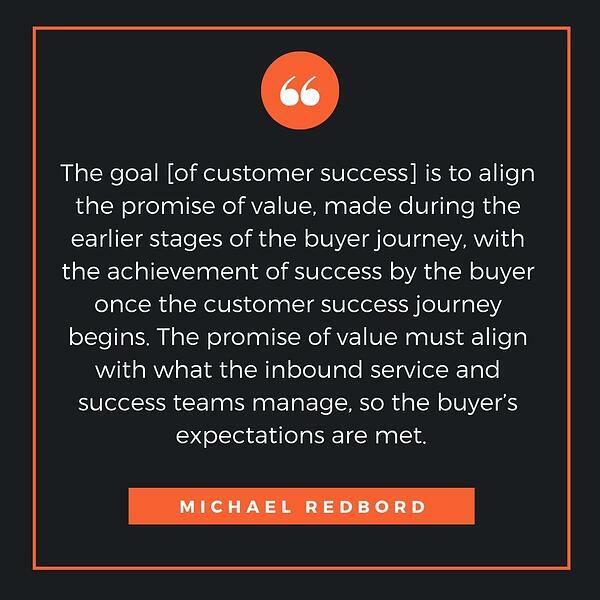 VP of Services and Support for HubSpot, Michael Redbord talked about customer success both in Inbound Organization and during the launch event with Todd. Why Does Customer Success Work? Put simply customer success helps ensure that the customer receives the value they were promised (managing expectations) and connects that value with their success. The goal is providing good fit customers with successful experiences so that they are happy and stick around. Verifiable customer success is one of the best selling tools available to businesses today. Modern buyers are aware that salespeople have a vested interest in making a sale, so their claims of product performance or quality are inherently suspect. A customer testimonial or review, however, feels more authentic and trustworthy. It doesn’t matter if a salesperson and a customer are saying the same thing the customer's opinion carries more weight. Of course, to have positive customer reviews, your customers need to be successful. You also need to have a system in place for capturing reviews and testimonials. Part of customer success is managing this process. Customer success is a powerful tool for keeping existing customers and finding new ones, which is why Inbound Organization dives deep into the topic explaining what it is, how to leverage customer success, and the role of customer success in an inbound organization. 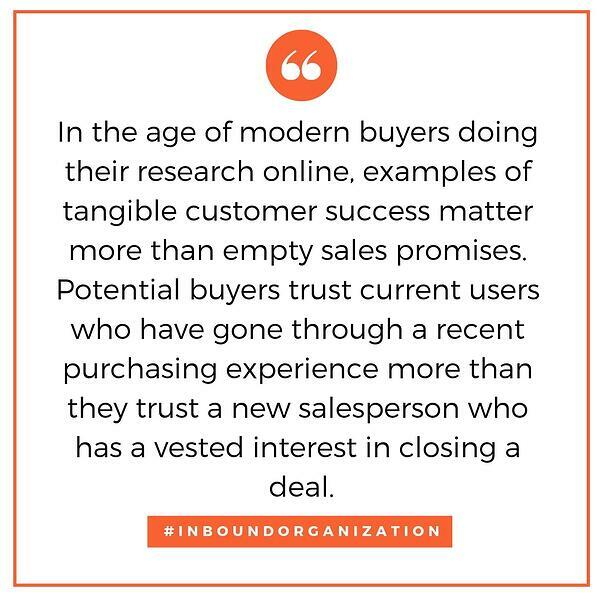 Pick up your copy of Inbound Organization to learn more!